As I watched national news during the past week since Senator John McCain’s passing, my thoughts returned time and again to my original work in building the world of 2048-2052 for the Perceval series, how I imagined America becoming an oppressive autocracy. During the summer of 2016, I wrote about my concerns with the upcoming election, and especially how America had developed since Ronald Reagan’s presidency. During the past week, I went back to that summer also, remembering my hope that America would not walk down the path I had seen before it while working on Perceval’s Secret. I don’t pretend to be able to predict the future, but the signs were there for anyone to see. The current American president insists on personal loyalty from his staff, not loyalty to the country and Constitution. The current American president is embroiled in the appearance of, if not yet proved to be involved in, corruption, collusion with a foreign power, and violating the Emoluments clause in the Constitution. The current American president this week was annoyed with the media’s coverage of John McCain’s life and death — a man who served his country as a Navy pilot during war, and as an elected representative of the people of Arizona, revealing this president’s fragile ego. Senator McCain knew and modeled public service to country and community. The current American president pays off women with whom he cheated on his wife so they wouldn’t talk about the affairs. The current American president revokes the security clearance of a highly respected intelligence official to punish him, not because he was a national security threat but because he’d spoken truth to power, using the president’s power to grant or revoke security clearances without following standard protocol and procedure. The current American president would like very much for the Justice Department to do his bidding, no questions asked, to eliminate his enemies and rivals which would be a gross abuse of power. The current American president has no respect for Freedom of the Press as he attacks the media and calls it “fake news.” The Republican Party does nothing. The Republican Party wants to maintain their majority in Congress, and as Karl Rove put it, to have “a permanent majority” which would be another step toward autocracy. I’ve listened to those who support the current American president. They think he’s doing an excellent job and taking the country in the right direction. But when it comes to specifics, I have not heard anyone actually go into specifics. What I find especially interesting about the current American president’s supporters is that they are usually not wealthy, they are racist against African-Americans and immigrants, especially Hispanics from the south, they want America to bully the rest of the world to get what they want which I haven’t a clue what that is, and they want the federal government to shrink along with the taxes they pay. They feel threatened by anyone who is not white, Christian, male. They do not comprehend, apparently, the irony that they elected a wealthy white man who’s not particularly religious, and who really doesn’t care about them to get them what they want. Sadly, all this president cares about is what he wants and that is power — feeling powerful, wielding power over other people, and enjoying being treated like a powerful person. None of what I’m writing here is a secret. Any intelligent person who makes an effort to stay informed about current events and our federal government can see it all for herself. Anyone who observes the current American president and how he speaks can come to the same conclusions. The American people and their government do not have a leader in the Oval Office right now who is a public servant and who knows how to govern in a democratic republic. They have a guy who wants to be president and be like a Mafia don. He wants to make money off the American people who elected him as well as the political party that continues to turn a blind eye, and help the wealthy multiply their wealth. He doesn’t know how to work with Congress and doesn’t want to learn. He doesn’t know how to work with our Allies and doesn’t want to learn. He’d much rather tweet insults and brag about his “accomplishments” — a large word that he could not even begin to fill with what he’s done in his life. After the election two years ago, I’d hoped that Congress would be a strong check on him. It turned out that only the Judicial branch fulfilled their role as a check on Executive power. The Republicans seem happy with the current American president — after all, if he takes over, they won’t have to deal with governing anymore. The Congressional Republicans, for the most part, have not proven themselves to be democratic leaders who govern well. Senator John McCain was an exception. I wonder if the Congressional Republicans are really paying attention to their constituents; after all, the current president lost the popular vote by a rather large margin. 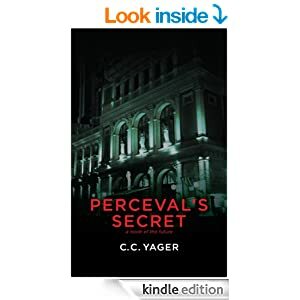 Recently, a couple readers of Perceval’s Secret approached me separately and commented with a certain amount of fear on the future that I depict in that novel. They wanted to know how I knew that the 2016 election would be the beginning of a wealthy elite take-over of the country, turning American society upside down. It’s been in the works for years. All I did was pay attention. I’m sure I wasn’t the only one. Silver Medal for PERCEVAL’S SECRET! Great news today when I checked my email after several days away. Perceval’s Secret won the Silver Medal in the Thriller/Mystery/Horror category of the Connections eMagazine Readers Choice Awards! This is wonderful news! Check out the other winners too as well as the magazine! It’s interesting reading, and the award-winning books look quite tempting….. Yesterday morning, while at work, I was listening to my local public radio station and a program interviewing the two singer/actors who are playing Tony and Maria in the Guthrie Theater’s production of West Side Story. The movie of this musical is my all-time favorite movie musical but I’ve never seen it produced on stage, so I’m looking forward to attending a performance of it at the Guthrie. As part of the program, the two singers each sang one song alone, then one together. At the first notes of the first song, “Maria,” I was crying. Maria, the most beautiful sound I’ve ever heard. I knew why. It’s not only the words of the song, but the music. It was Leonard Bernstein’s genius the way he fused music to the words in the songs of West Side Story. After years of listening to this music, I also think the music itself tells the story of Tony and Maria, their tragic love, as well as the tragedy of New York’s West Side in the 1950’s. This musical, though, is a re-telling of Shakespeare’s Romeo and Juliet set in a different time, place, and with two families played by two New York City street gangs. I saw a production of Shakespeare’s play at the Guthrie last fall, and despite the tragic story, it didn’t elicit the same powerful emotional response from me as West Side Story does. What little music there is in the Shakespeare, often at the director’s discretion, usually has little to do with the emotional themes of the play. Composers and writers have known for centuries the power of words set to music. Does that same power exist when words describe or evoke music? I’ve been thinking about this question this week because I’m reading a mystery novel about musicians, music, and murder. I’ve also been writing, with the Perceval series, novels set in the music world in which music plays a role in terms of setting, characterization, and subtext. So, reading Gerald Elias’ mystery Death and the Maiden this week has me thinking about words and music in a different way. The title of Elias’ mystery is also the title of an extremely famous string quartet by Franz Schubert, which he based on a song he’d composed using the poem “Der Tod und das Maedchen” by Matthias Claudius. The poem is an exchange between Death and a young woman as Death tries to win the young woman’s trust and life. So, as I’ve been reading Elias’ mystery, I’ve had the subtext of the song as well as the string quartet in my mind. However, I’m not as familiar with this string quartet as I am with other chamber music, so I’ve bookmarked a lovely performance of it at YouTube for my own reference. Elias does a good job of describing the music as well as its challenges for the musicians playing it, and using language that is encouraging to the reader to seek out the music and listen to it. I highly recommend listening to it, focused only on the music and nothing else, with eyes closed. The second movement is the “Death and the Maiden” theme and variations. Elias uses the interpersonal and musical dynamics of playing in a string quartet as the core of his mystery. Each musician has his or her own perspective on the music, and in a quartet, the four perspectives are melded to form the whole in performance. When there’s conflict about the music, or among the lives, the music can reflect that, often with great intensity. Looking at Elias’ mystery novel as well as my own Perceval series, I’ve realized that I am using music in my writing to illuminate character as well as making it Evan Quinn’s profession. The emotional connection is more between Evan and the music, not between a reader and the music. So writing about music is one degree removed from words set to music. It would be different if the music I mention in the novels could be playing at the same time of the reading. Elias uses the music to educate about music, music history, and music performance. In Death and the Maiden, he also adds the dimension of the string quartet and its unique performance experience. I’ve enjoyed Elias’ mystery novels, his curmudgeon protagonist, Daniel Jacobus, and the different perspectives on the classical music world that he brings to each book. If you know nothing about classical music, you can still enjoy the stories as murder mysteries, and Jacobus as a unique, entertaining character. PERCEVAL’S SECRET Has Been Nominated! Woo-Hoo! I found out this afternoon that Perceval’s Secret is a finalist for the Readers Choice Award presented by Connections E-Magazine! This is wonderful news and came as a huge surprise. Please check out the entire list of nominees in all categories here. Vote tor your favorites! Voting closes August 1 so you have plenty of time to give Perceval’s Secret or any of the other nominees a read and then return and vote!